Yucaipa (4, Northern): Alejandro Raya (So., 3rd, 120), Eric Reyes (Sr., 2nd, 126), Matt Martinez (Jr., 4th, 138), Arick Lopez (So., 4th, 182). This entry was posted in CIF-SS, Citizens Business Bank Arena, San Bernardino County, Wrestling and tagged CIF-SS Masters Meet Wrestling by Pete Marshall. Bookmark the permalink. 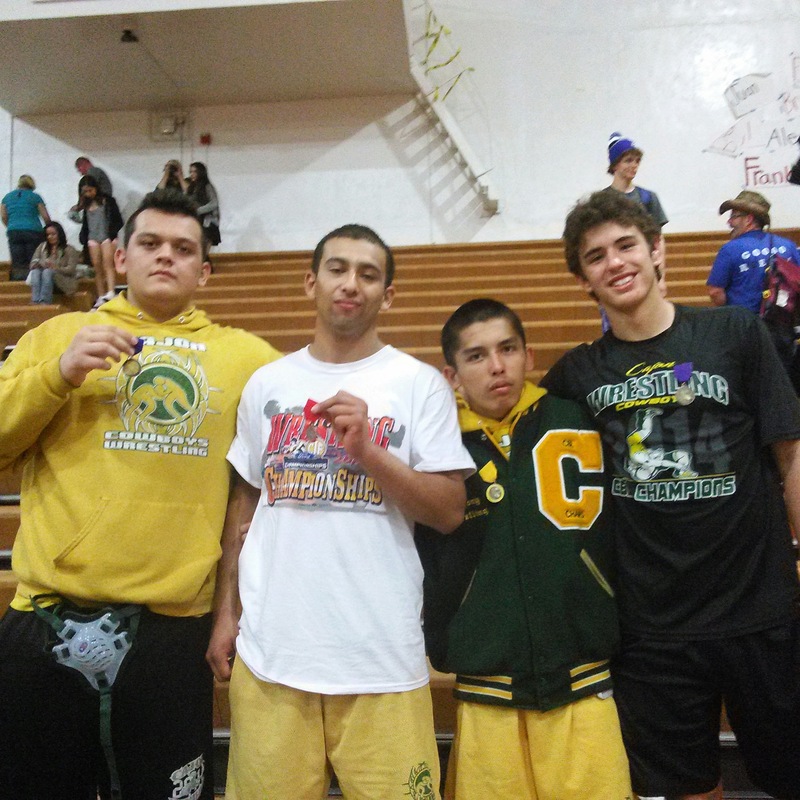 Fyi, you forgot Junior, Josh Loomer from Cajon who was undefeated and got First place at santa maria for 182 pounds.